Self Storage Units in North Carolina | Haywood Secure Storage, Inc.
Haywood Secure Storage has a space for any of its North Carolina family on the search for clean, secure and affordable storage units. 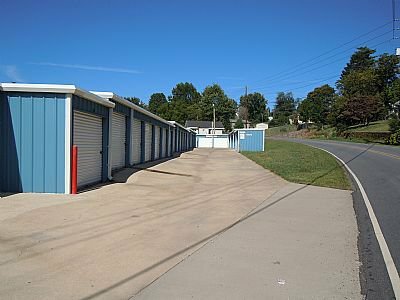 Haywood Secure Storage is located in Clyde, Canton and Waynesville, NC. Find all of our facilities near many major highways such as US-19, US-23, US-1800 and US-74, so we’re easily accessible if you live in any of the nearby cities and communities such as Lake Junaluska, Hazelwood, or Balsam. Find the facility nearest you to get started! If you’re near our facility in Waynesville or Clyde, you’ll have the option of renting a temperature controlled unit. You may plan on storing collectibles such as wine, comic books or household electronics like washers, dryers or even electronics like computers or stereos. Those types of items may not maintain its quality if left in standard storage units as the North Carolina heat rises. Talk to one of our storage experts if you have questions. We prioritize convenience and excel at customer service. Our storage team understands what tenants need and go above and beyond to meet their every need. Drive-up access is one of our most valued facility features along with online bill pay, dollies and handcarts. Each of our facilities are being monitored 24/7 with the use of our HD video surveillance system. We take pride in maintaining a reliable storage facility that local communities will appreciate.